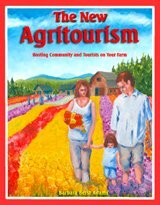 Farm activities are now more widely available today thanks to the growing local food, micro eco-farming, and agritourism movements. Discover a world of farm activities you never knew existed possibly very nearby! Below we’ll show you how to find local farms for fun and educational activities in your area. Plus, for teachers or parents working with kids, we've included an article on how to turn a simple local farm activity into a meaningful Farm Activities Safari. orchards with public apple pressings, and much more beyond the typical corn maze and pumpkin patch. Check major national on-line listings that direct you to local farms: LocalHarvest.org (some farms on this site invite visitors), and Agritourism World (all farms encourage visitors, but may be more public oriented than “the farm next door”). Or, hunt online for farms near you that don’t list their farm visits nationally, but have websites up and do allow occasional visits or tours. Type “our farm” and your state and/or town into a search engine and often you’ll be led to more than one. 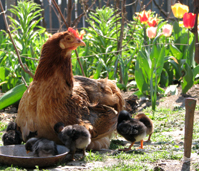 Many small local farms have the term “our farm” somewhere in their websites. Also, you can contact your county cooperative extension. They oversee agriculture and usually know of listing groups that collect data on local u-pick and visitors’ farms. They usually know the whereabouts of farmers who are not inclined to go online but do allow farm visitors. Look through Craigslist and traditional classified print ads near harvest times. Print classifieds have been used forever for announcing when local u-pick green beans, raspberries, and pears are ready for harvest. Keep an eye out for farm signs while driving and keep a map to note their locations. Some generational farms having been producing since before local food became cool. They don’t advertise and have never had to. This is how we found a u-gather nut grove that gave peacock feathers to our kids. Some "farms" are more rural entertainment centers than real agriculture businesses. Opt for the real ones that offer authentic farm activities: such as the u-pick blueberry patch or the heirloom vegetable market garden. Some of these real farms will have bonus activities such as hunting for feathers or collecting eggs you’ll want to take advantage of. Save the “farm” with giant inflated bouncy toys for another purpose. Once you’ve found authentic local destinations great for group activities, you’ll find some offer one-time casual visits for picking up or harvesting crops, some offer agritourism programs such as berry festivals, and some even offer farm memberships via the Community Supported Agriculture (CSA) model. CSA families actually become members of the farm and get a weekly supply of produce. These farms may offer farm volunteer and other on-farm experience opportunities. For this activity, children go on an exploration mission to one or more local farms to complete a farm safari journal (scrapbook) of discoveries during their farm activities. 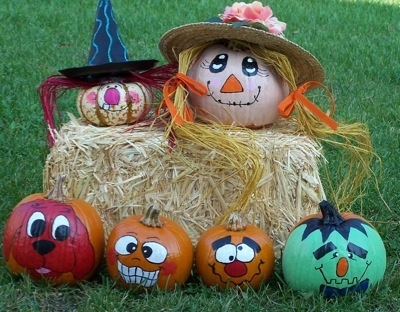 Adaptation examples include a child’s birthday party revolving around a farm theme or a homeschool group basing lesson plans around a specific local farm. Or, it could be an all-year or ongoing summer project perhaps starting with a u-pick flower farm in May, an heirloom market garden in June, a lavender festival in July, a horse ranch in August, and an apple orchard in September. 1. 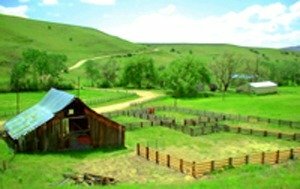 Decide upfront if this adventure will revolve around farm activities from visiting one farm just one time, multiple times, or if many farms will be involved. 2. Select an appropriate blank scrapbook. Just one to share if your kids’ group is small, one for each child if it’s larger. 3. Divide it into any of these six sections that are appropriate for the chosen destination: Farm animals, farm crops, buildings and equipment, real life collected objects, colors, and nature on the farm. 4. Secure digital cameras for the kids (older cell phones, donated disposables) or even adapt the activity to drawing instead of photography. 5. Each section of the safari journal calls for your specified number (5, for example) of images of farm animals (can be more than one shot of the same animal), farm crops, buildings (including fences and gates) and tools (such as watering cans, hoes and artisan cheese-making facilities), nature (butterflies, woodlands), colors (choose 5 colors they must hunt for and get shots of) and real life objects to press and paste into the scrapbook such as leaves or feathers. This upfront mission automatically makes minds hunt for and fill the blanks. It awakens a part of the brain today's kids often have shut off. 6. Go on your group farm safari and enjoy the farm activities with your mission understood. 7. Plan a designated time afterwards to print out photos and past them in the journal, along with real life objects, and label them. If anyone missed a shot, allow others to offer their surplus photos. Make a collage for the cover if the farm journal is shared. Have each child decorate her own cover if each has their own. 8. Finish with a farm book party where the journal(s) is presented to grandparents, school principals if this is a classroom project, or other adults interested and willing to give each some loving attention. If there is food harvesting involved in any of your farm activities, try to preserve some to prepare and eat during your finale party. 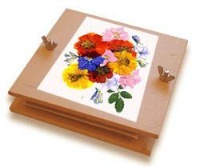 Make your own pressed flowers for beautiful cards or invitations!